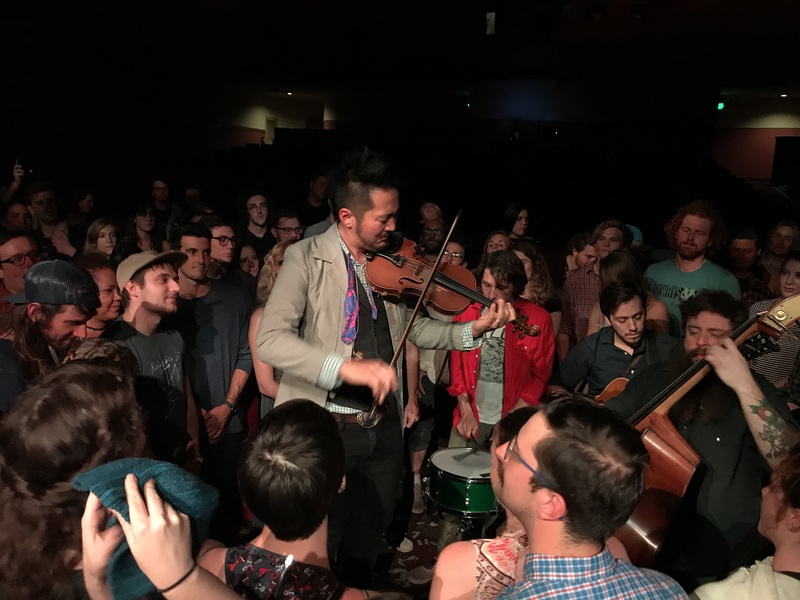 Kishi Bashi (born Kaoru Ishibashi) brought his unique mix of introspective, uplifting and inspiring music to the historic Fremont Theatre in San Luis Obispo, CA this past Friday. 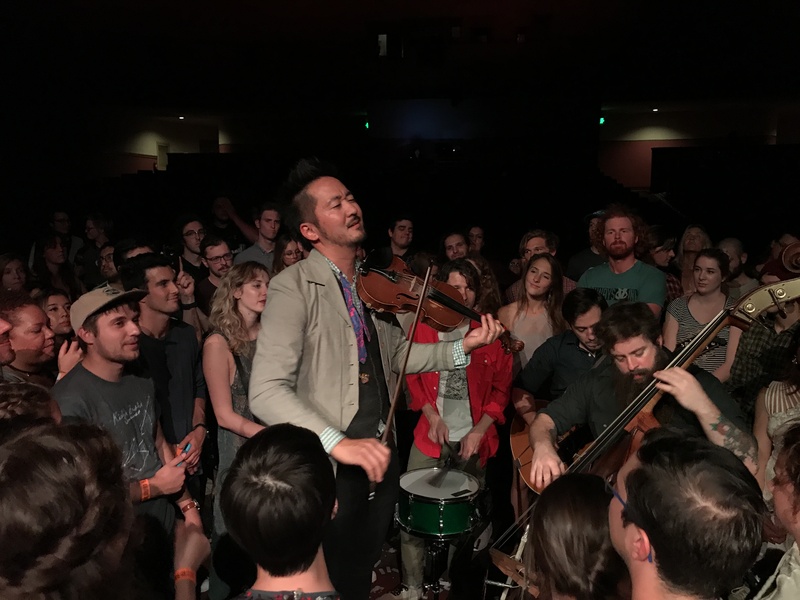 Being Black Friday (the uber-capitalist day of rampant consumption after Thanksgiving), fans who chose to stand in line for tickets to the show were rewarded handsomely for making a wise investment of their time and money. 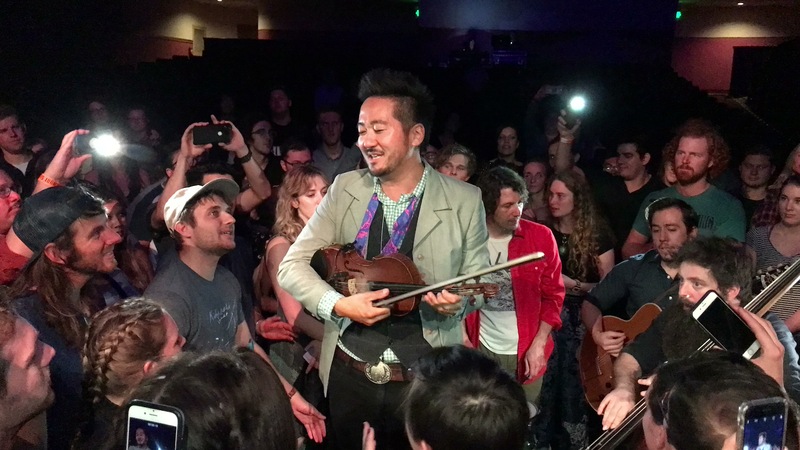 There were deals aplenty to be had throughout the night as Kishi Bashi bestowed various musical gifts onto the receptive audience that can’t be purchased in stores, proving once again that unique experiences are more priceless than any acquired store-bought possessions. 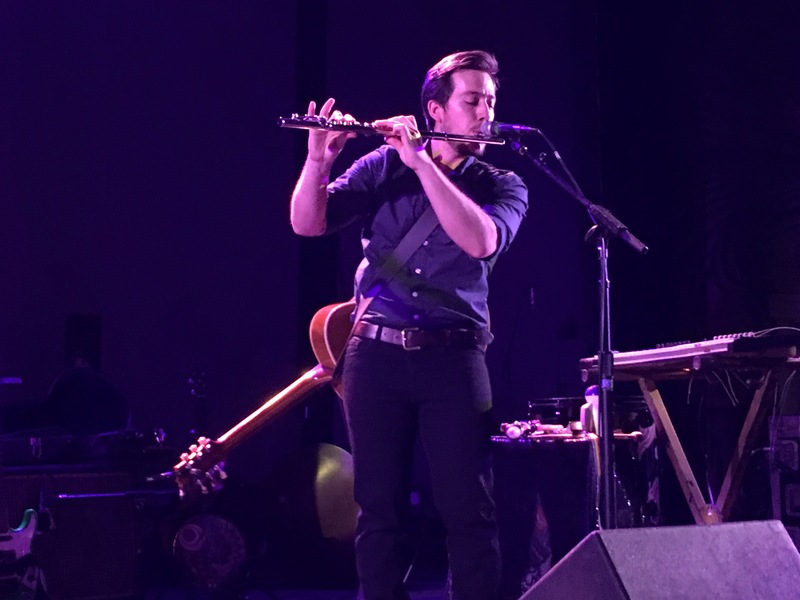 And by the end of the night, I literally witnessed tears rolling down the faces of grown men, further validating that this was a most unique experience indeed. 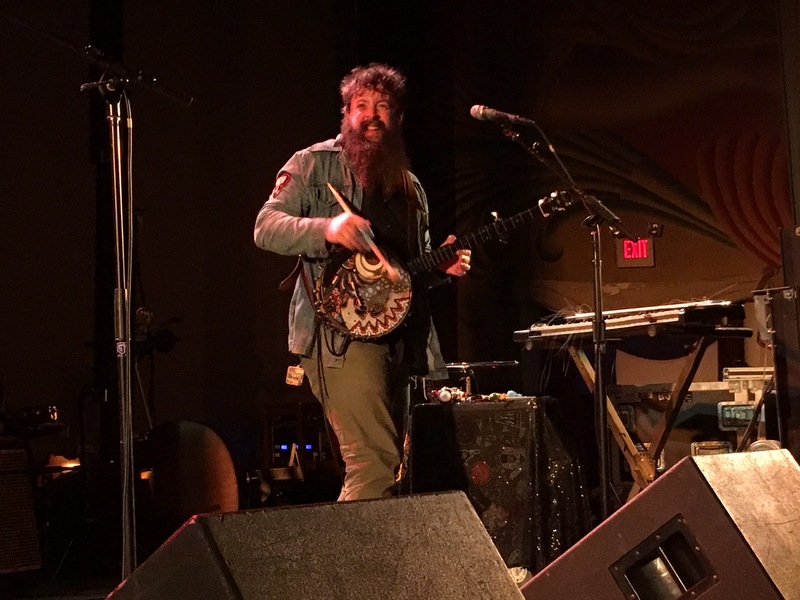 Opening the evening was Asheville, North Carolina artist Tall Tall Trees (Mike Savino), who describes his own music in tour posters and promotional materials succinctly as “psychedelic banjo folk.” His self-professed impromptu and improvisational nature of performance gave his set an unscripted, surprising flow. 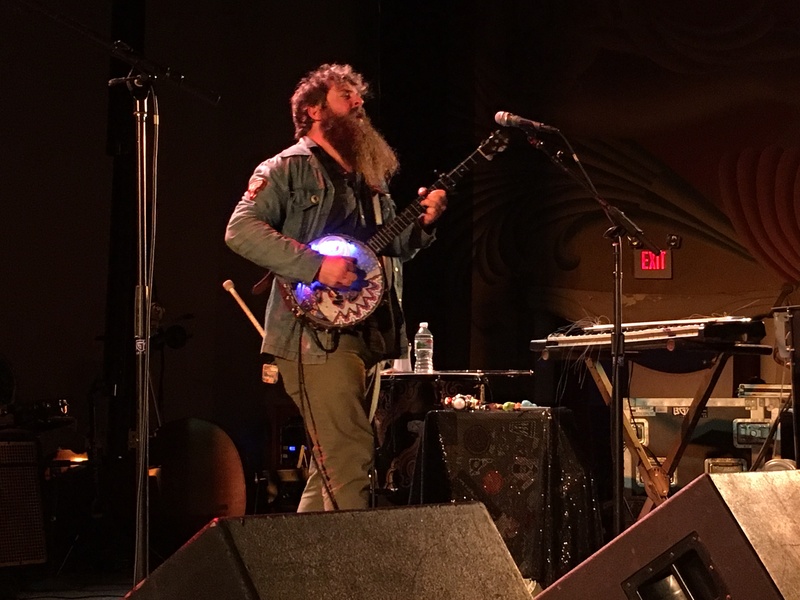 In what has to be one of the most unique and eye-opening forms of instrumentation I’ve seen in a long time, Savino also used his electric banjo as a feedback loop inducing device as well as a drum kit, looping the percussive beats through electronic means to make a full-bodied, danceable sound. 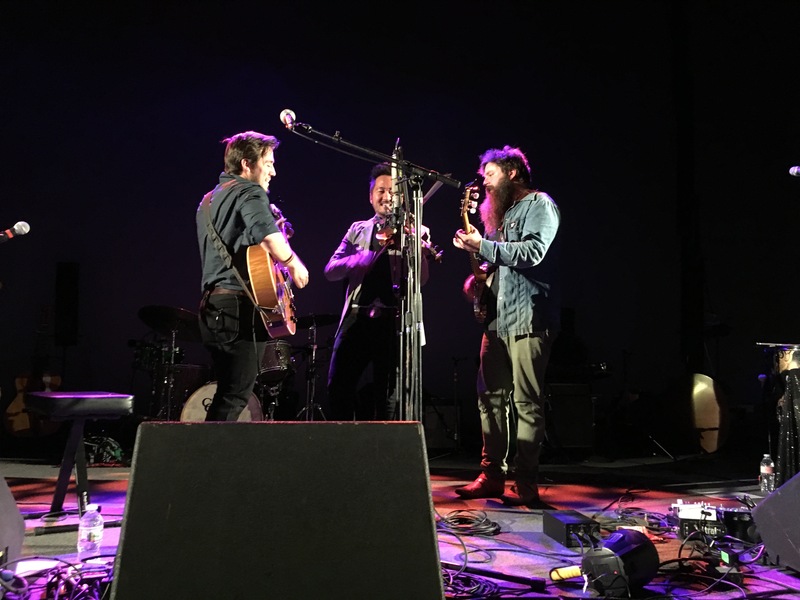 Think LCD Soundsystem mixed with El Ten Eleven mixed with an Appalachian version of Iron & Wine and you’d get a close (but still incomplete) approximation of Tall Tall Trees’ sound. 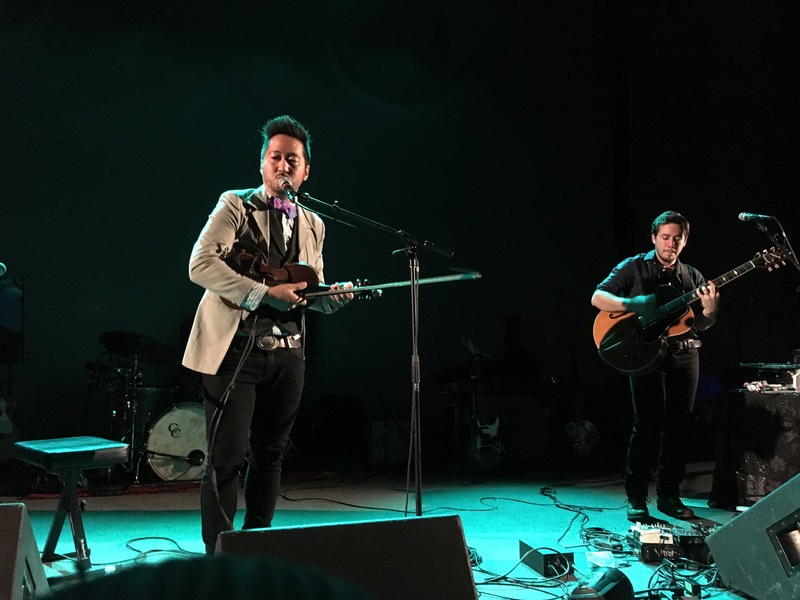 Prefacing Kishi Bashi’s performance was a 15 minute sneak peak at his upcoming documentary entitled “Project 9066” which chronicles his, at times, gut-wrenching yet inspiring journey to various World War 2 Japanese-American Internment camps on the West Coast. 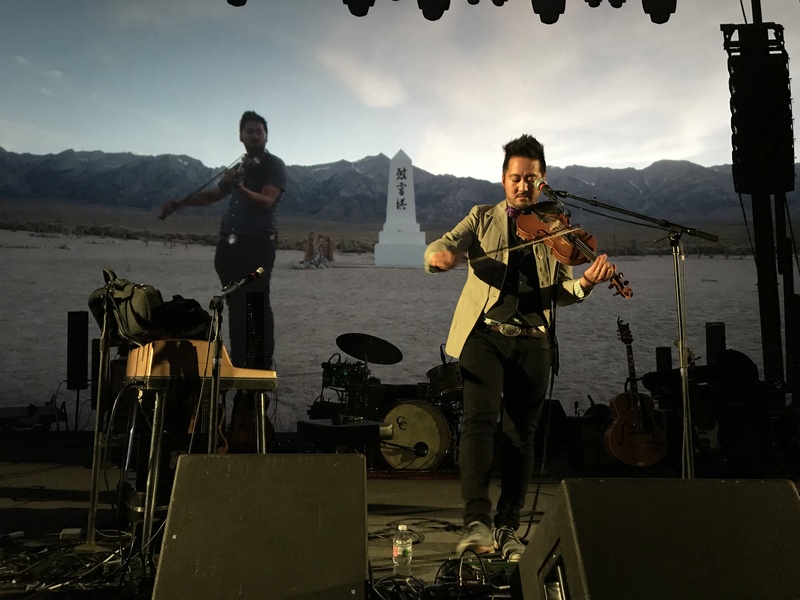 While at each site, he performed his music, attempting to capture the spirit of each location’s essence. The overwhelmingly barren and desolate landscapes complemented the similarly stark and beautiful soundscapes created by Kishi. 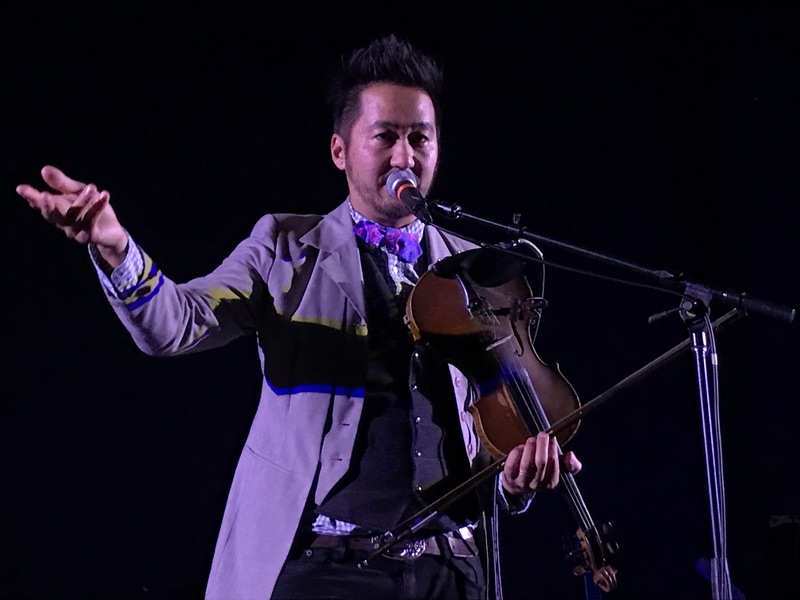 He described his journey as an attempt at coming to terms with the intersectionality of his own ethnic identity, socioeconomic status and privilege, while also exploring the resiliency and meaning that can arise from tragedy and trauma. 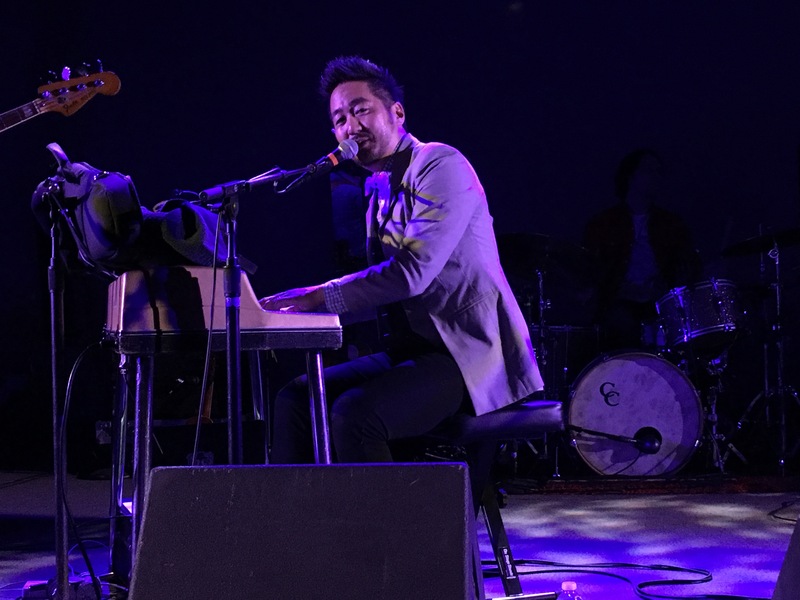 Kishi Bashi started the set off with acoustic renditions of “Bright Whites” and “Q&A” before jumping into the more lively “M’Lover.” Channeling 80’s synth pioneers Thomas Dolby and Howard Jones in equal measure, Kishi adeptly wove catchy melodies and dance hooks during his more perky tracks, including the uplifting “Hey, Big Star” that compelled the audience to clap and dance enthusiastically. 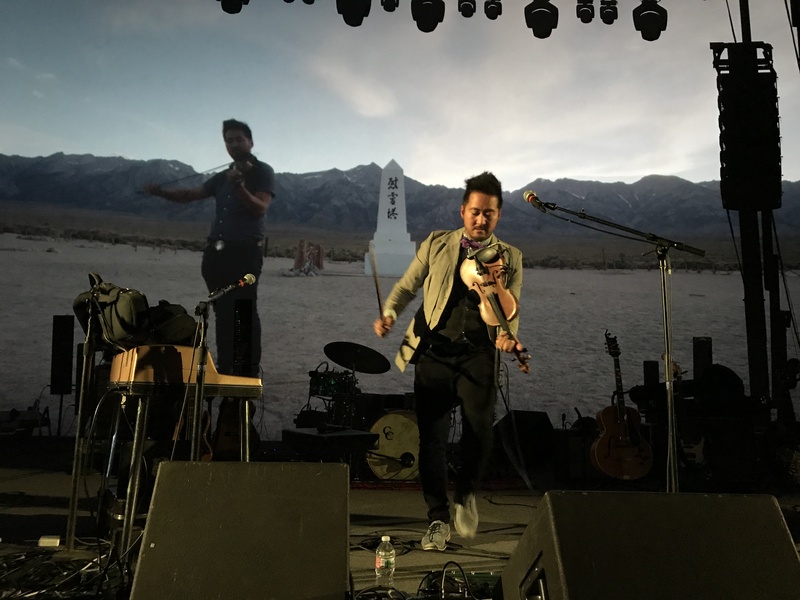 In a meta-level display of artistic prowess and performance art worthy of Laurie Anderson, Kishi then accompanied himself on violin, playing a solemn unrehearsed set while footage of his performance at a Japanese internment camp was concurrently projected on screen. 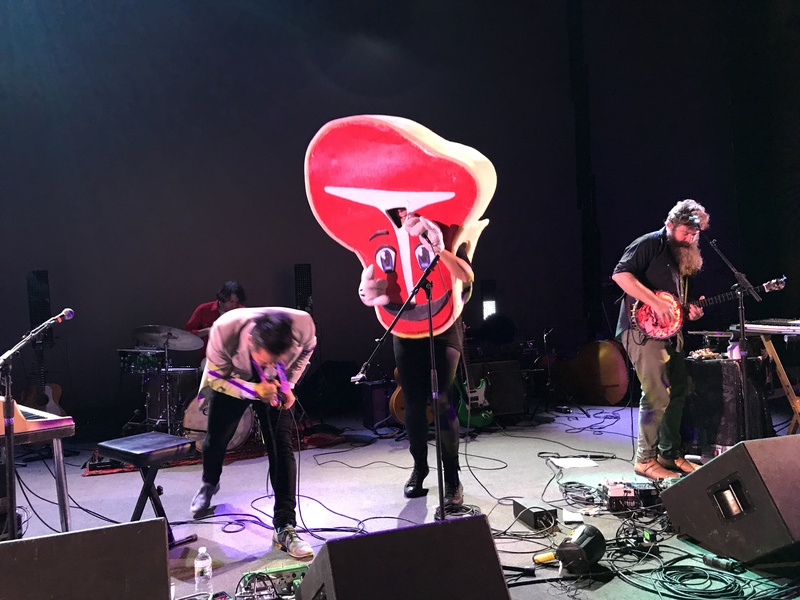 Bringing the mood back up to a state of revelry, the band played an enthusiastic and bubbly performance of one of the most lyrically unique, surreal and seemingly nonsensical tracks I’ve ever heard, “The Ballad of Mr. Steak,” while the cute, eponymous cartoon character danced on stage. 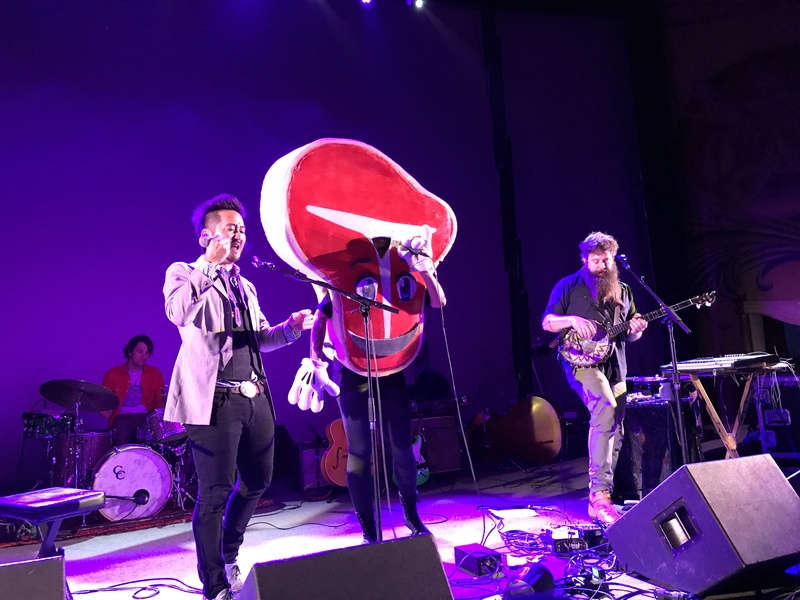 If there ever was a song that could win the prize of being an anthemic tribute to carnivorous appetites (think of an antithetical, bizarro version of the Smiths’ “Meat Is Murder” and you’d be getting warm), I think this would at least earn a silver medal in that idiosyncratic pantheon. 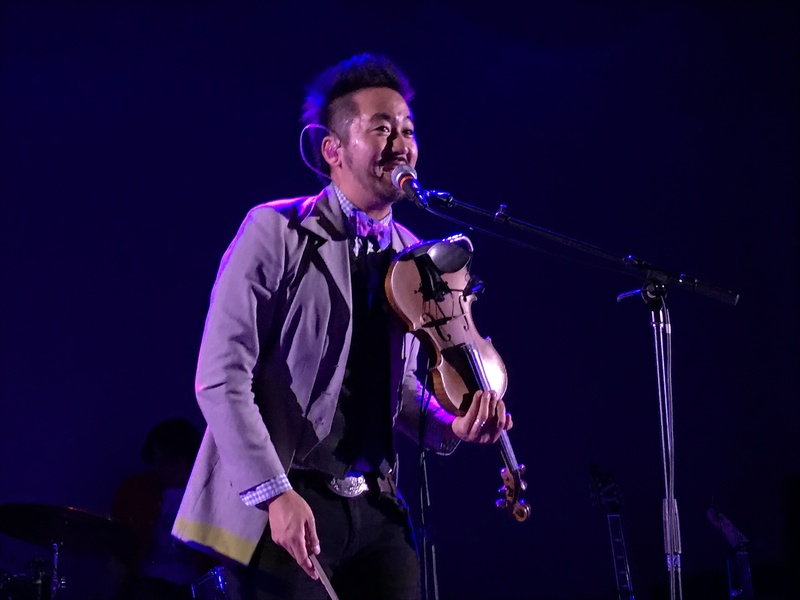 After giving a heartfelt blessing to a couple in the crowd who was getting married, Kishi eased into a toned down performance of “Manchester” in which the affectionate words “Will you be mine? The days are short and I’ve wrote me my last rhyme. All the streets are warm today. I read the signs. 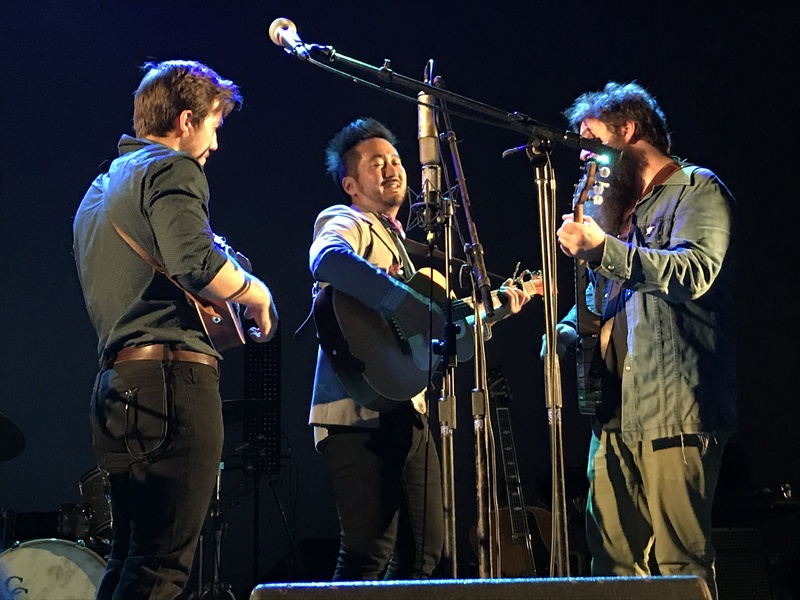 I haven’t been this in love in a long time” took on a particularly special and unique meaning. 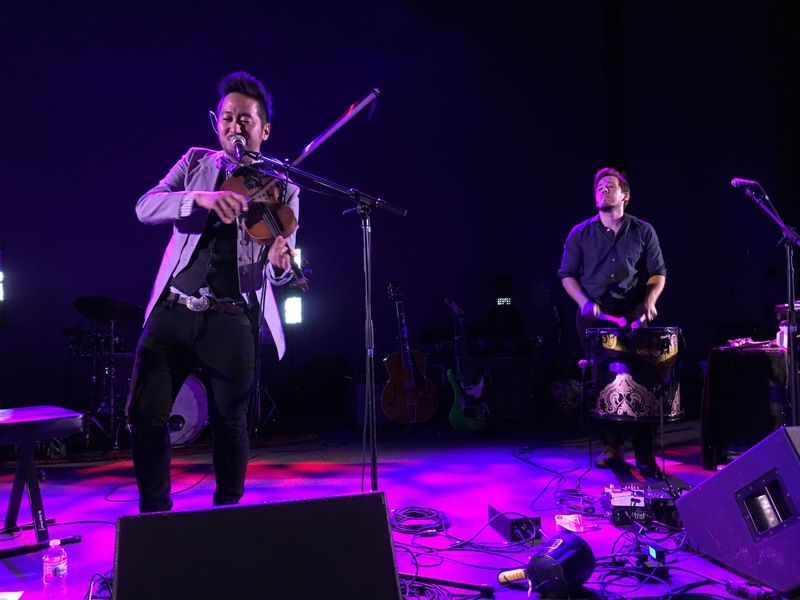 As the last notes of “Manchester” concluded, the captivated audience’s attention was so focused and acute that you could have literally heard a pin drop. 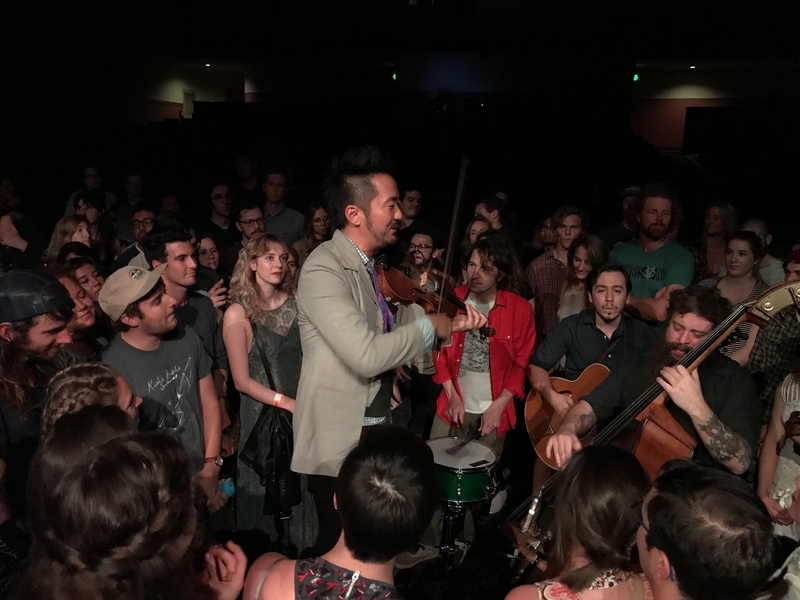 As I glanced around at the audience to witness the crowd’s reaction I saw many people crying, including more than a few grown men. 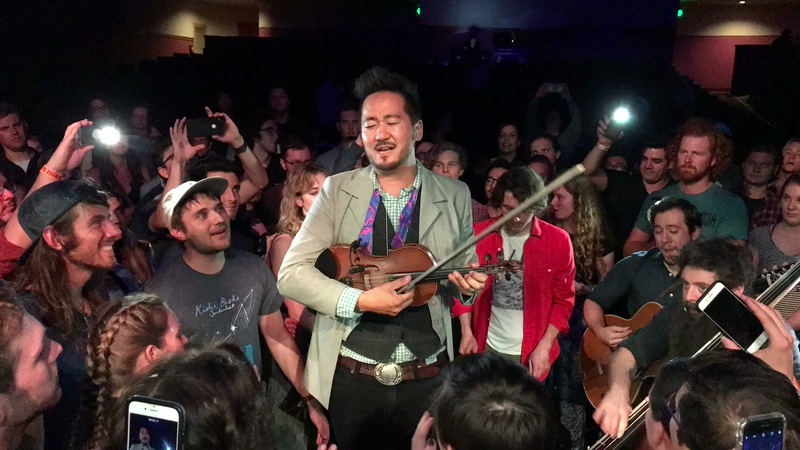 That’s something you don’t see everyday and a testament to Kishi Bashi’s ability to expertly evoke and awaken a wide range of profound emotions in listeners. 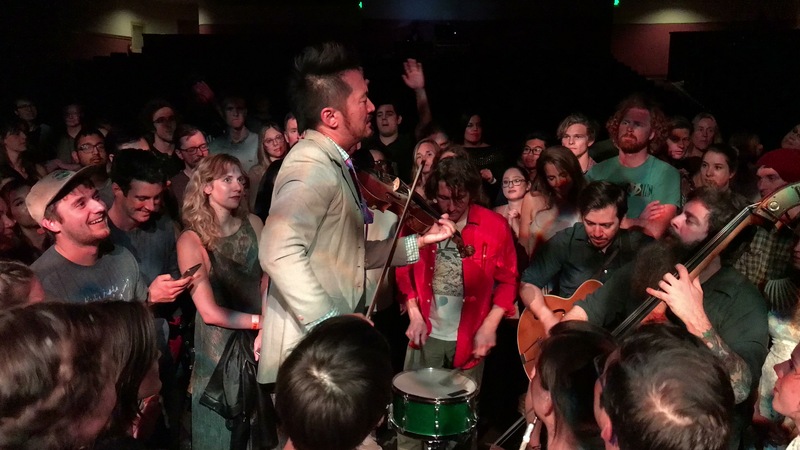 For more information on Kishi Bashi and his upcoming film project, check out kishibashi.com.